Tangy garlicky snail butter paired with steamed artichokes fairly well shouts “spring is here”, can you hear it? To be sure there were no snails consumed in this dish. Snail butter simply refers to the butter you make to stuff into snails, if you stuff snails that is. When I saw David Lebovitz’s recipe for Green Beans in Snail Butter I filed it away in my “must make” recipe file in my head. And promptly forgot it. Yes, you read that right, there are no snails in snail butter! Just garlicky butter you would use to stuff snails if you stuffed them or ate them. 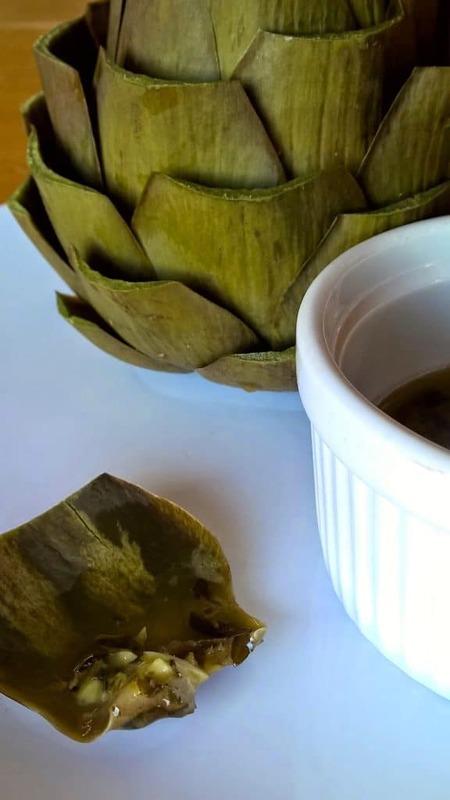 It’s the perfect dipping sauce for steamed artichokes. And so simple to pull together! 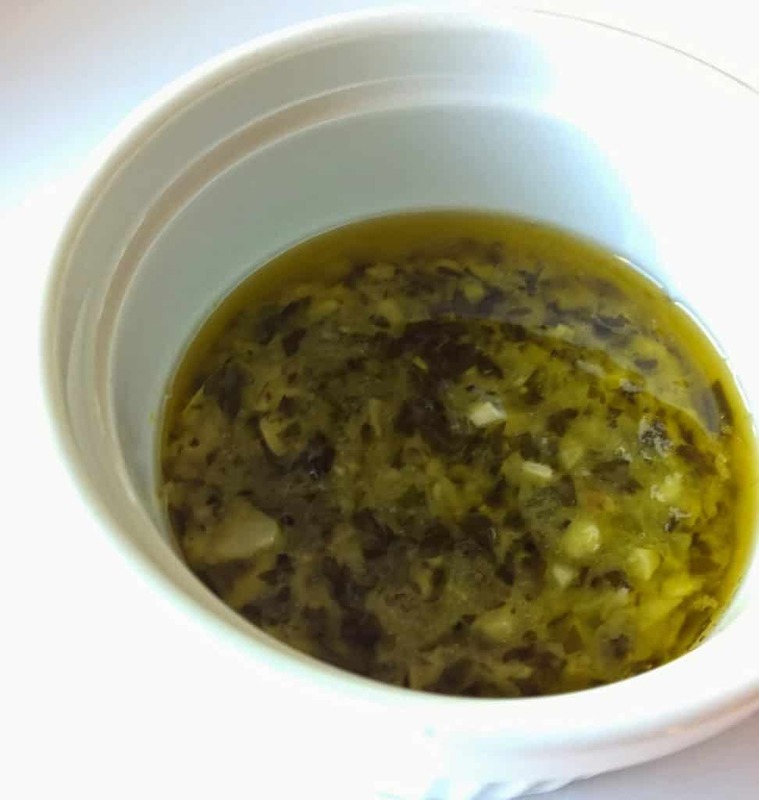 Garlic and parsley nestled deep in melted butter with just a drip of lemon juice replace the usual plain melted butter served with artichokes and it makes all the difference in the world. One boy who refused to eat an artichoke the other night suddenly wanted one because of the snail butter. 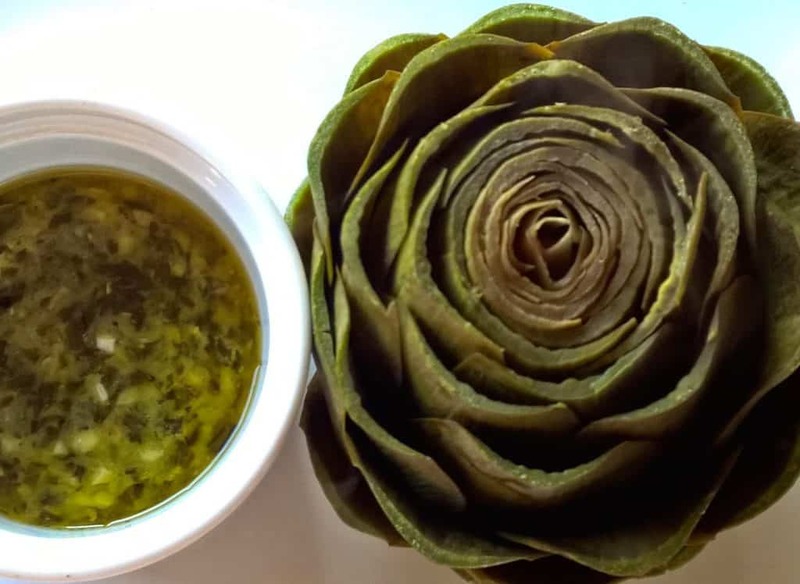 And to be equal, the one who always loves artichokes and will add butter to anything, completely refused to believe there were no snails in the snail butter and he ate his artichoke plain. 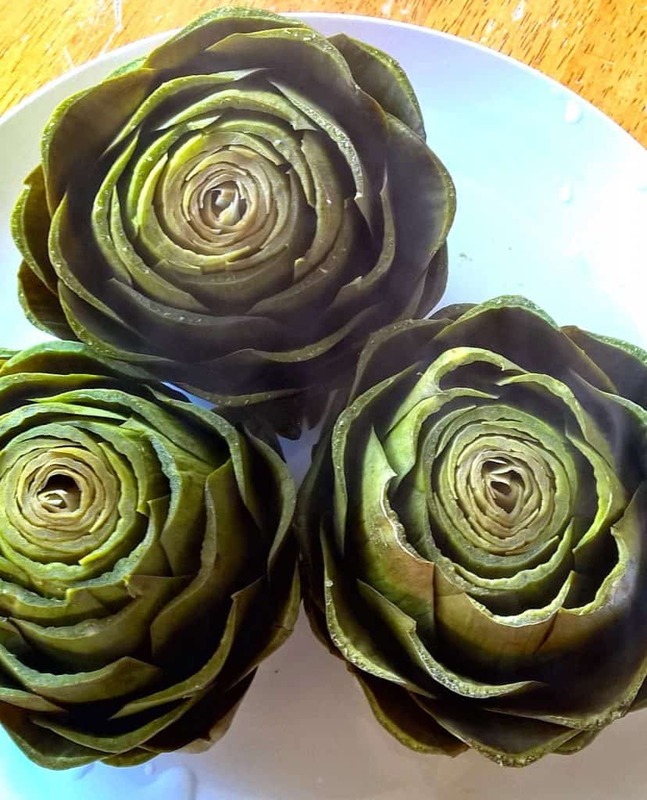 Steamed Artichokes or you could try ROASTING THEM! 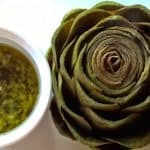 This To take this recipe UP A NOTCH roast the artichokes like I did in this post. You will not be disappointed in the results, I can guarantee that! 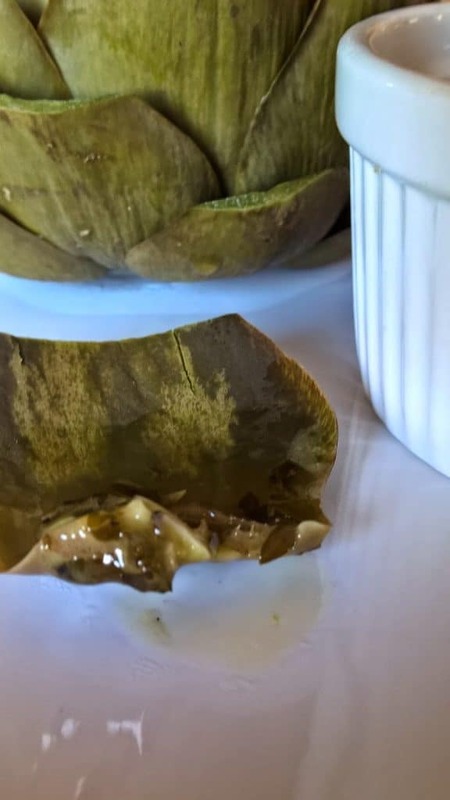 Roasted Artichokes are one of my all time favorite ways to eat artichokes and using snail butter on them is the perfect topping to an already sublime artichoke. 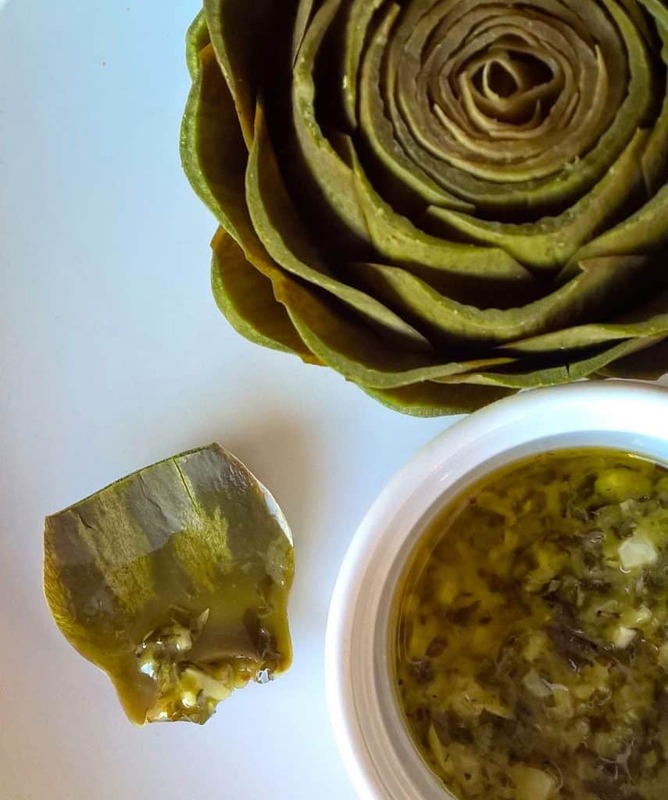 Artichokes with Snail Butter. To be sure there were no snails consumed in this dish. Snail butter simply refers to the butter you make to stuff into snails, if you stuff snails that is. Make sure you get out a stack of napkins because the artichokes drip and the butter runs and smears. It can get ugly but it’s a beautiful fragrant kind of ugly, you’re going to want more of it. I bought two on Sunday and have one left to eat. You have prepared them beautifully! I've never had them with butter, only with a mayo dip. A must try for my next one! Thank you so much for submitting to Yum Goggle! I have yummed, pinned, tweeted, google+'ed, and will FaceBook soon!  Now Following on FB!